The only Swedish show for 2017 is hereby announced! 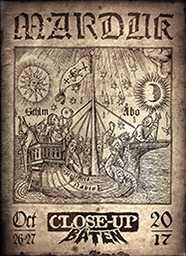 Marduk will headline the Close Up Cruise between Stockholm and Åbo taking place between Oct 26/27. Its the very last show of the Frontschwein crusade!